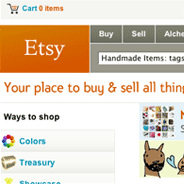 Etsy is a place to buy and sell handmade items from people around the world. My wife has an Etsy shop "Cary Canary" where she sells her beautiful artwork. Named one of TIME magazine's "50 Best Websites of 2008", Propaganda for your friends. Evite without the crap. No signup, no login. Provides a custom url, global email addy and nifty rss feed. Try it for your next event! IMSafer lets you know when your children may be in dangerous situations online, and shows you how they represent themselves in their online profiles. Be a parent, not a cyber-sleuth! Named one of TIME magazine's "50 Best Websites of 2007", ODF allows you to easily schedule SMS text messages to yourself, or anyone else, without needing to know their cell carrier. 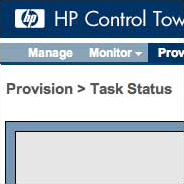 Control Tower is HP's Linux based blade management and deployment software package. Read data from Excel spread sheets without Microsoft! xlreader provides an API to read Excel documents and command line tool converts Excel data to tab delimited, CSV or SQL inserts.